It is the strongest mechanism in climate variability on earth: El Niño Southern Oscillation (ENSO). This recurring natural phenomenon disrupts the weather in the Pacific for several months at a time and its effects are felt across the globe. An international team of researchers led by FAU will investigate the consequences of ENSO on mountainous regions over the next three years. The German Research Foundation (DFG) is funding the project with approximately 230,000 euros. El Niño Southern Oscillation (ENSO), the mechanism that determines the interaction between the atmosphere and the ocean in the Pacific, is the strongest mechanism in climate variability on earth. ENSO determines how air and water circulate in the Pacific up to the Indian Ocean and causes unseasonal weather conditions in the tropics and beyond. In doing so it disrupts the average conditions of the tropical system, causing anomalies. El Niño is feared across the world as it can cause extreme conditions such as droughts, storms, flooding or heatwaves. ENSO and its effects have already been well studied at low altitudes. But how does ENSO affect mountains and glacial regions? This is the question that a team of FAU researchers, led by climatologist Prof. Dr. Thomas Mölg, will be investigating in a DFG project over the next three years together with colleagues from the University of Innsbruck, the University of Massachusetts and the University of Otago in New Zealand. The aim of the project is to create a model that is able to calculate the effects of ENSO on glaciers and mountains in different climate zones as well as large-scale climate dynamics over a time frame of several hundred years. ‘We aim to create a model that will simulate how seasonal changes in weather in the Pacific can affect mountainous regions as a result of ENSO,’ explains Prof. Mölg from FAU’s Institute of Geography. This is a considerable feat, as the regional and local weather factors have to be connected and the different temporal and spatial dimensions that ENSO passes through must be considered. Such simulations can only be carried out with super computers – at the Regional Computer Centre Erlangen, for example. The model will use data from measurements taken at extreme altitude. One of the locations the international team are using to gather this data is Africa’s highest weather station, around 20 metres below the summit of Mount Kilimanjaro, where the climatologists have already been collecting data for six years. This station and the others that they are using must be visited and maintained regularly, as the conditions at an altitude of around 6000 metres are a challenge not just for people but also for the measuring instruments. 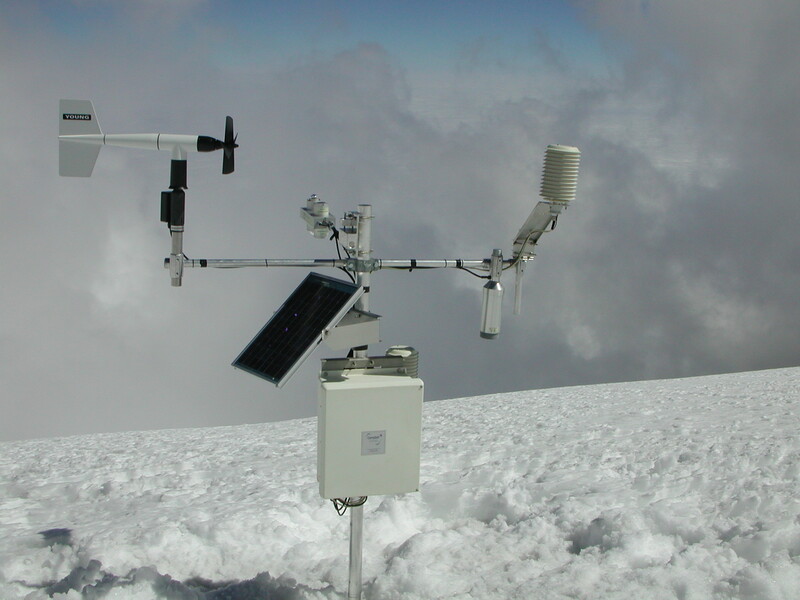 High-quality measurement data taken at high altitudes is therefore still rare. Other weather stations that the international team will be using in the project are located in South America and New Zealand. The researchers hope that their findings will allow them to understand the physical connection between large-scale climate variability at low altitudes and the climate of higher atmospheric layers. ‘In general, this would improve our overall understanding of how climate works, which is crucial for predicting future climate. In the context of the project, this is especially relevant as mountains and their glaciers are an important factor affecting water supply, natural disasters and rising sea levels in many regions,’ Prof. Mölg explains.